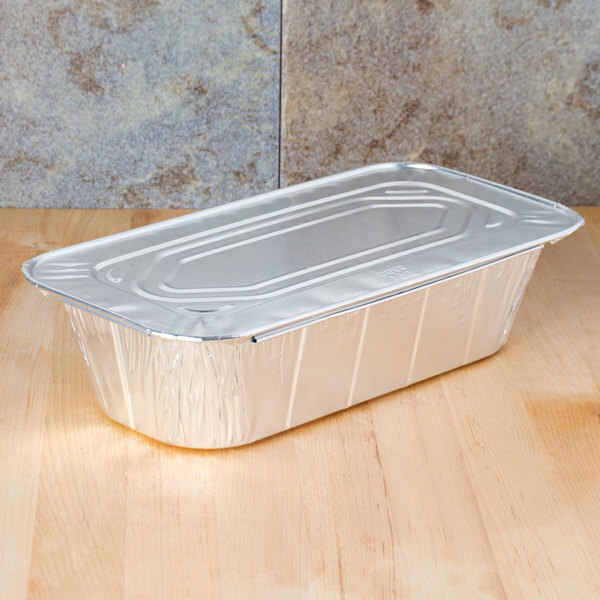 Conserve your food's hot temperature and provide spill-free transportation with this 1/3 size foil steam table pan lid! 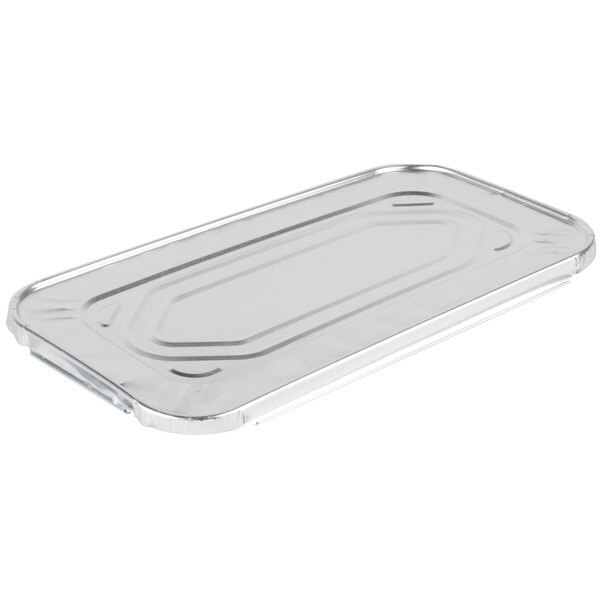 Perfectly sized to fit your 1/3 size foil steam table pan (sold separately), this lid secures all your entrees, sides, appetizers, and desserts! The 30 gauge aluminum foil construction will stay strong throughout the entirety of your event while providing a polished look. Simply press the foil around the pan's rim to create a lasting seal that provides unparalleled temperature retention and protection against external contaminants. For easy storage, this lid is stackable, keeping your storage area neat and organized. Once your service is finished, you can simply dispose of the pan for fast and easy clean up. Top Outside: 12 11/16" x 6 9/16"
Top Inside: 12 5/16" x 6 3/16"
Heavy duty and fits the pans perfect. Easy to close and take off when ready to serve food. Pans still fit perfectly in the chafing dishes with the pan tops on. Before using these lids, we were using aluminum foil, which doesn't look near as nice. These lids gave us a professional look that is worth the money! Make sure to get the 1/3 pans that goes with these lids, otherwise you might have some trouble fitting it onto another brand's 1/3 pans. Lids work well with 1/3 pans. Cant seem to find in box stores so purchased here instead. Good price point and will buy more in the future. I have purchased these foil lids many times over the years. I like that there are 100 in a box and they are used regularly in our catering business. I discovered these at another store and decided to look here for these items ... I like the fact that the pans come with lids ...it makes my life a little easier .. I USED THEM TO STACK AND YOU CAN WRITE ON THE LIDS. I really like the 1/3 size foil steam pans, and these tops make it really practical for freezing food for future use. Would definitely buy again. Pretty standard foil lid that goes with the 1/3 size foil pans. These are easy to use and seal foil pans, just be careful when folding the sides cause you could get a small cut on your hand. I love all the catering products from Webstaurant. I love that I can order lids 100 in a case and always have on hand what we need. These are priced well. This is a great strong and sturdy lid for disposable packaging. These WOrk great for stop and drop catering jobs since they are all disposable. So much more secure and professional looking than foil wrapping. 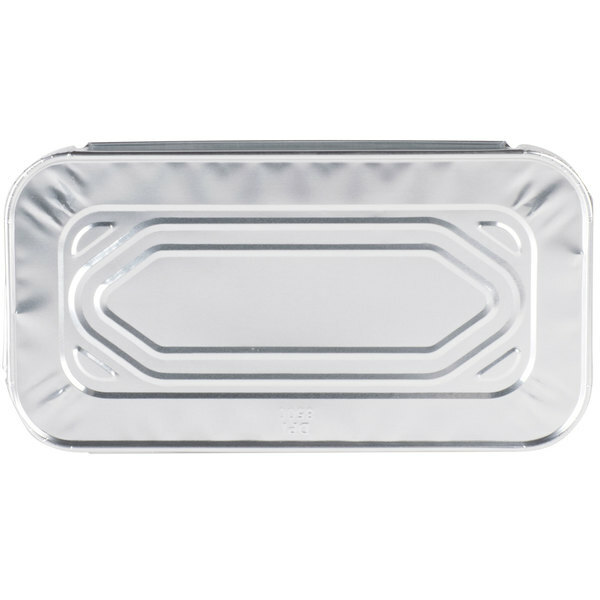 The foil is sturdy, yet thin enough that you can "write" on them to mark the dish. Another great product offered by Webstaurant. We use these for our 1/3 size pans or beans with lots of liquid and rice. They work well at keeping the food hot when transporting and work well at keeping the liquids from spilling in the catering van. Good price. This product works very well with the 1/3 size foil pan. The lid fits the pan and seals closed on all four sides. I would not recommend for long term storage. Clean up is a breeze as well!